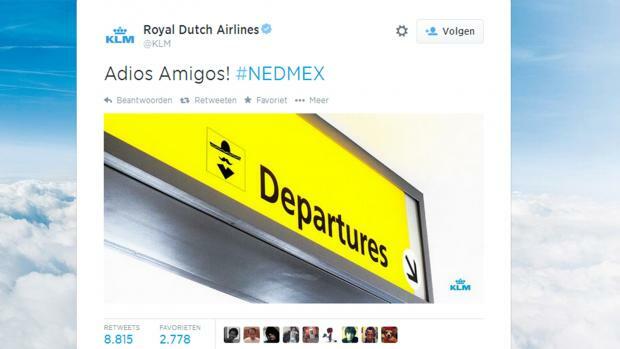 Just after The Netherlands defeated Mexico in the football (or if you’re from the US, soccer) World Cup in Brazil, the Dutch airline KLM sent out this tweet: Adios Amigos! #NEDMEX. To really drive the point home they added an image of a departure sign complete with a picture of a stereotypical “Mexican” wearing a sombrero. 1. Define your purpose in social media – and stick to it: There are reasons why your company has a presence in social channels, for example building the brand, engaging with customers, generating leads or driving sales. These reasons should define what you do in terms of posting and interacting. And what you don’t do. Now, unless KLM has decided that being arrogant and insensitive is exactly what they want to be percieved as this tweet did nothing for them. Except create problems. 2.Show empathy: If you are a large company, having a presence in social media almost always means that you are run the risk of being viewed as an uncaring, anonymous collossus. So steer clear of doing things that actually seems to confirm that. I’m sure the people that came up with the KLM tweet had the best intentions – they wanted to celebrate their national team and poke a little fun at the opposition. As an individual you can get away with this, but as a company – not so much. In this case KLM would have benefited from the old advice of “If you don’t have anything nice to say, don’t say anything at all”. 3. Take a moment to think: A lot of mistakes occur because we don’t take a moment to think about what we are about to post, or step back and talk to a colleague before hitting the send button. There are many things that KLM could have done that would have accomplished what they wanted to do – congratulate the Dutch national team – without doing what they actually did – insult and upset a lot of Mexicans and the Mexican national team. Taking a moment to clarify what you actually want to accomplish can save a lot of problems. In this case it could have saved KLM a lot of unneccessary work and grief as well. One of the best pieces of advice I’ve come across in social media crisis management is to make sure we don’t take a trivial situation and escalate it into a crisis through our own actions. That piece of advice works in this scenario as well. If you are an old pro in social media you have probably figured this out already, but if you are relatively new there is one general piece of advice I would like to share: Take the time to create a structured, documented plan (strategy) for your activities in social media. And include the points I’ve shared above. It will save you and your company a lot of time and money better spent on dealing with the scenarios that you can’t plan for. Do you agree, or did I miss something? Have your say in the comments.